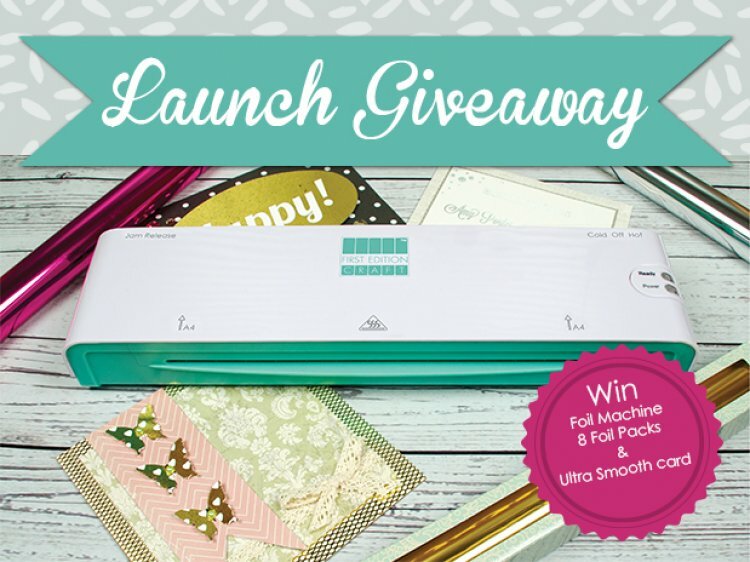 We are giving away a First Edition Foil Applicator Machine worth £59.99, perfect for designing your very own personalised craft projects with a metallic finish. Our bundle giveaway also includes one of each First Edition Foil Transfer Sheet so you can add shimmer and shine to your foiled projects. You will also be given 2 packs of First Edition Ultra Smooth A4 paper so you can start crafting straightaway*. Impress your friends and family by being one of the first to own this exciting foil craft kits, the First Edition giveaway is worth over £110 so it is definitely worth entering! The First Edition Foil Machine is also available with a European plug so we are excited to offer this competition to both our UK and European friends. It is easy to enter, just click the button above before the deadline at 12pm on the 30th September and we will announce the winner the same day. *Requires a laser printer for printing the designs. Terms and conditions. All entries must be received by 12pm on the competition closing date and is open to all UK residents aged 16 or over, excluding employees or agents of the associated companies and their families. Only one entry per household. Prize contents are subject to change. No cash alternative. One prize will be given away to a member drawn at random on the closing date. Registration via www.trimcraft.co.uk is a pre-requisite to entry. Registration is free. No purchase necessary. The decision of the judge is final and no correspondence will be entered into. The winner will be notified by email. The winners name and website username will be available by sending a SAE marked Trimcraft Competition to Claire Brudenell, Trimcraft, Mancor House, Bolsover Street, Hucknall, Nottingham, NG15 7TY, UK. Your details will be processed by Trimcraft (Nottingham) Ltd in accordance with data protection legislation.